When 16th century conquistadors crossed the ocean from the Old World to the New, their ships often became stranded along the equator at a place where the winds stopped blowing. To lighten their load, they would throw their horses overboard. Eventually the sails would fill with air and the voyage could continue. Over time this part of the ocean came to be known as “the horse latitudes.” It is said that about half of the horses on the early crossings perished in this region. The horses that survived helped the Spanish launch their conquest. But unlike the conquistadors, the horses were not newcomers. After thousands of years, they were returning to their homeland, linked through their DNA to Ice Age horses originally found on this continent. Given our history, it would seem that their return was fated. We all know the Longfellow poem about Paul Revere’s midnight ride and the fearless steed who “kindled the land into flame” in April 1775. The poem tells us little else about the gallant animal, but we know from the record that she was a mare named Brown Beauty, and her forebears included Spanish horses that had disembarked on the Carolina banks as the conquest began. When Revere’s ride was over, the mare was seized by a British soldier who mounted her and galloped away. The horse collapsed and died later that night — spent — after launching the war for independence. In the West her historic Spanish relatives became the foundation stock for the mustangs that went on to blaze trails and fight wars. By the end of the 19th century, the day of the horse was over, and the 2 million mustangs then roaming the range became a cash crop. An era known as “the great removal” ensued, and countless horses were sent back to Europe in tin cans or on boats to serve in foreign wars. They would have vanished like the buffalo had it not been for the efforts of a woman known as Wild Horse Annie. After seeing blood spilling out of a truck on a Nevada highway in 1950, she followed it to a slaughterhouse and watched as dying mustangs were offloaded for rendering. 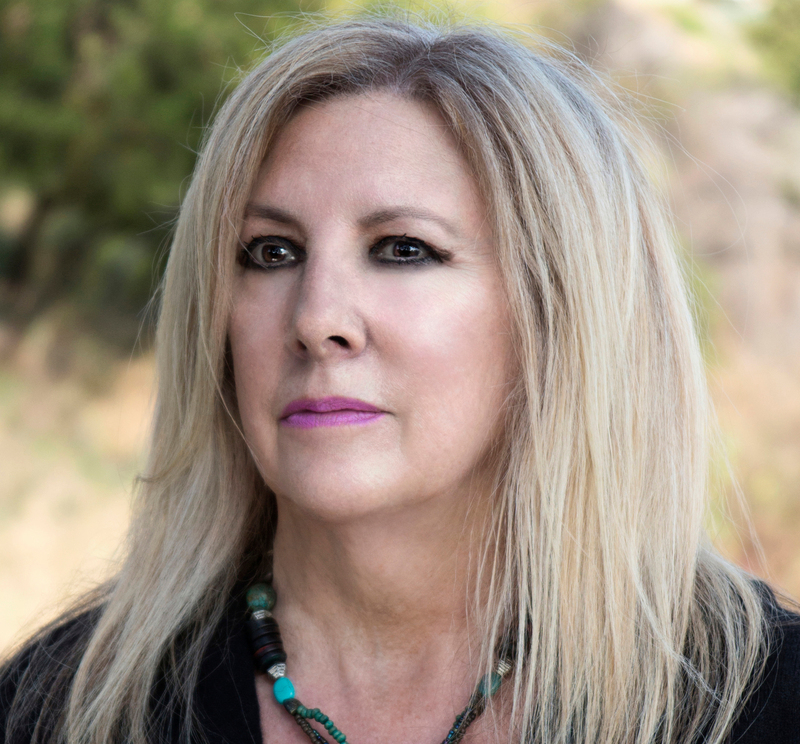 For the next 20 years, she battled for legal protections for wild horses. Under that law horses are to be “considered in areas where presently found as an integral part of the system of public lands.” Oversight falls to agencies such as the Bureau of Land Management, which often favor corporate cattle ranching in their policies. Many stockmen regard mustangs as “thieves” that “steal” food from other grazing animals (ironically, these same people often accuse defenders of wild horses of assigning human traits to the animals). 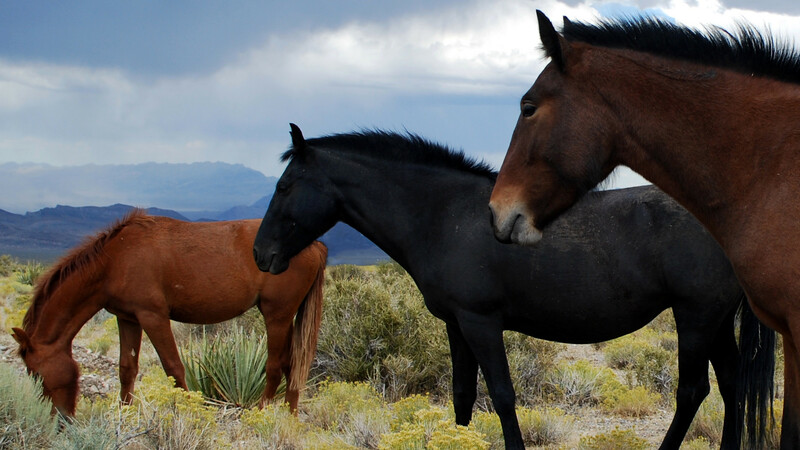 Today the free-roaming law is often ignored, and mustangs are in peril. Cruel roundups are conducted using helicopters, sometimes based on outdated mustang counts or less-than-accurate studies. Those counts remain a matter of contention. According to the government, there are about 83,000 wild horses on public lands; there are also thousands in the Orwellian maze of federal housing. Other experts, however, say that the number of free-roaming horses is much lower, and often find many fewer horses on the range than what is stated in official census reports. Mustang populations also endure other stresses, such as “emergency gathers” during drought, such as the one underway right now in Cold Creek, Nev. (No other species is rounded up under such conditions, and the horses aren’t returned to the range after being given food or water.) More roundups are scheduled for this year, during which some horses will likely perish and most others will be funneled into pipelines leading to a life in captivity, adoption or a trip to the slaughterhouse across the Mexican border. The ultimate goal is to reduce the mustang population to 17,000 — the count at the time the law protecting them went into effect, although that number is in dispute and not likely to sustain the wild horse. Nevertheless, the Bureau of Land Management last month announced a drastic plan, in line with the Trump administration’s search-and-destroy approach to wildlife management in America, calling for sterilization, euthanasia and “sale without limitation” — also known as a truck ride to the slaughterhouse. For years the situation has been aggravated by a media that has routinely reprinted government talking points — mustangs destroy the land, constitute an invasive species (until recently, contradicted by some of the Bureau’s own websites, which accurately referred to the wild horse as a “reintroduced” animal), and cost too much to manage. Yet at dozens of talks over the years, rarely have I met anyone who is opposed to spending tax dollars on taking care of our great partner. Many people, in fact, have said they would like to designate an amount for exactly that purpose on their annual tax forms. “We owe it all to God, and the horse,” said Hernando Cortes when the conquest was over. That’s still true today, regardless of your religious beliefs. Will government officials heed the words of the old conquistador and act accordingly? As it stands now, nearly 500 years after horses returned to their homeland, we’re still throwing them overboard, trying to lighten our load. A version of this essay first appeared in High Country News’s Writers on the Range. Updated version © 2018 Deanne Stillman. All rights reserved.